February 2016 | Hey Munky! Allan, please add retro movie, TV or video game quote here. I finally chose to transfer the text onto the buttons using the PVA method. I downloaded the Transformers Solid font from http://www.fonts2u.com/transformers-solid-normal.font, typed the text using Photoshop before flipping the whole thing horizontally. Other than a bit of a wobble with the ‘T’ on Reset I was quite pleased with how well the buttons turned out. I’m still waiting on the Power and one of the Memory Card labels to dry. I’ve also sprayed the Memory Card/Controller port module while I had the Memory Card doors stripped. 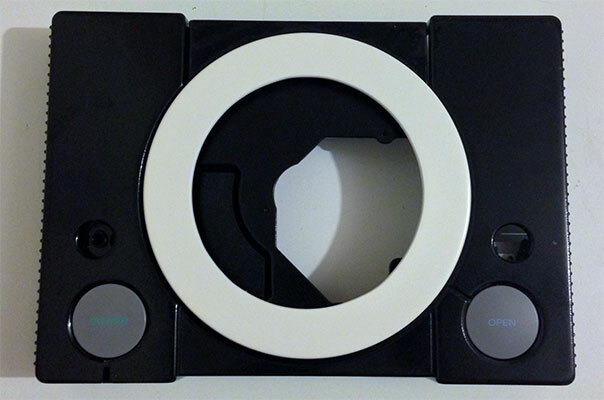 The white strip inside each port is a piece of electrical tape I used to stop paint getting on the contacts. I’m one of those people who isn’t happy using the default ringtone on my phone. It would amuse me, while sat in the office, when “Marimba” echoed around the room and my colleagues would partake in a Mexican wave to reach into their pocket for their iPhone. Not me though, I don’t use the standard ringtones. Something else I tend to do is assign people ringtones I think is relevant to them; so my gaming friends tend to get gaming related ringtones. In the spirit of sharing here’s three I created some time ago in M4R format ready to go straight into iTunes and on to the iPhone. I’ve got more, I just need to organise them better and I might add them later. I picked up a couple of items on eBay recently. 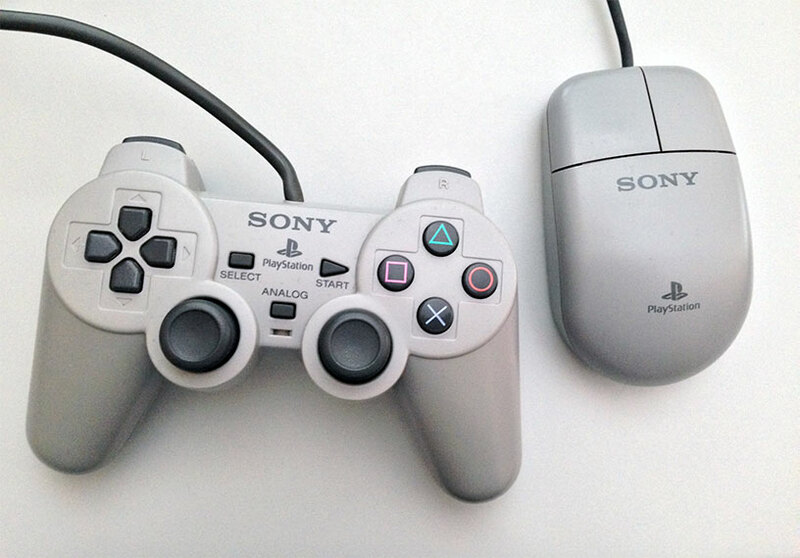 The original Playstation Dual Analog controller (SCPH-1180) [Wikipedia] and the official Playstation mouse (SCPH-1190) [Wikipedia]. The Dual Analog controller was quickly replaced by the less responsive (IMO) DualShock controller and are slowly becoming a piece for collectors; not for me though, I fully intend to use this as my primary controller. A friend had a Dual Analog controller back when they first came out and I’ve always remembered how comfortable they were to use so I just had to grab this one for under a fiver. The mouse was necessary for a bit of Broken Sword because the controller is just too slow for that. Between my Niece’s 30th birthday, my Sister’s birthday and having the kids at home during half term I’ve not had much time for t’internet or modding but now everything is back to normal I’ve been carrying on with my Playstation mod. 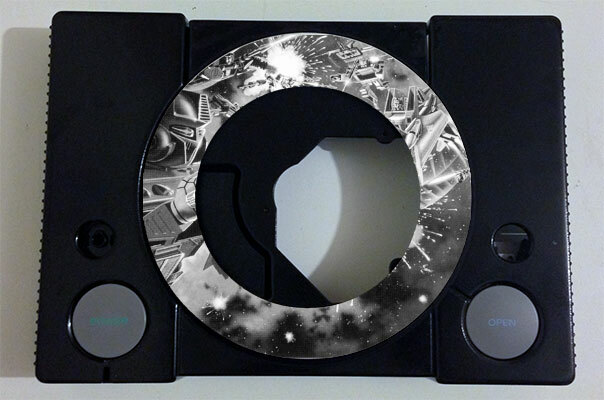 I’ve now sprayed the top half of my windowed lid section with white matt paint ready to transfer my image onto using PVA glue and a mono laserjet printout of a 1984 Transformers G1 Box Battle artwork by David Schleinkofer [tfwiki] . I had considered printing in colour but the whole thing looked too busy in the Photoshop mock-up. and in place on the rest of the shell. This next picture is a Photoshop mock-up of how I hope things will turn out once I’ve transferred the image. I’m still not quite sure what I’m doing with the buttons yet. At the moment I’m most likely to go with white buttons and either freehand the text/symbols (not decided on that yet either) or transfer text onto them using the same PVA glue/laserjet method as I’ve used for the image on the lid. I’m slightly more in favour of freehand for that rough-ish look. The Spectrum Vega in a handheld. The ZX Spectrum Vega Plus console looking for crowdfunding on Indiegogo. I need this. 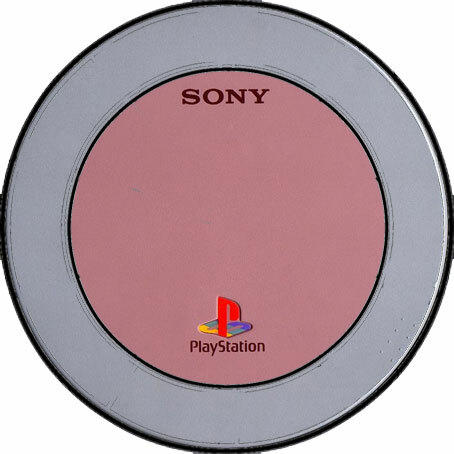 I decided to make some labels for my Playstation memory cards and I’ve put them below for anyone who might be interested. Just an update on my SCPH-7502b mod, The Autobot insignia has arrived so no more Photoshopping that in. 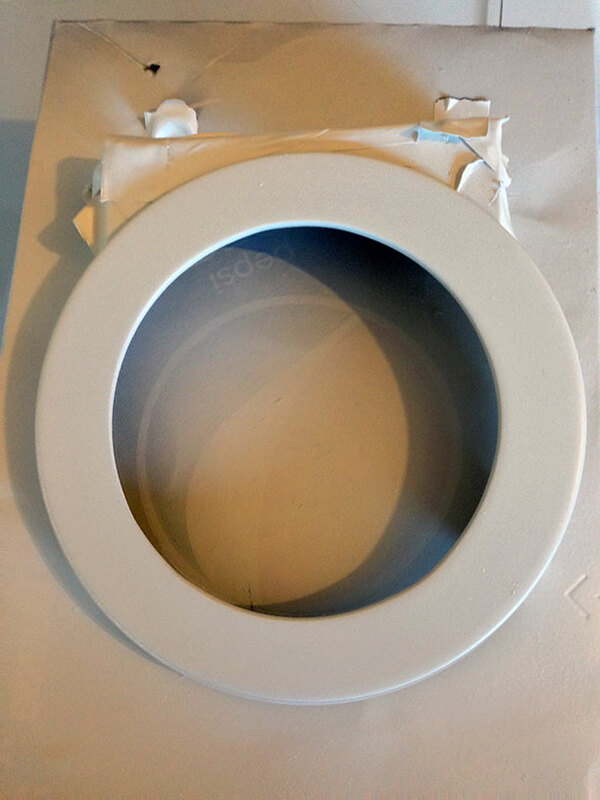 I noticed the white LEDs really drag down the power so I decided to drop down from three to two and wire them via a switch in case I need to switch them off in the future; so there’s now a hole for another switch. I think I may also keep the buttons in their original grey but maybe sand off the function icons in favour of wording. I will probably change my mind again at some point. It’s my 40th birthday tomorrow so I thought I’d share the great cake my missus and kids had made for me by Mrs E’s Cakes.